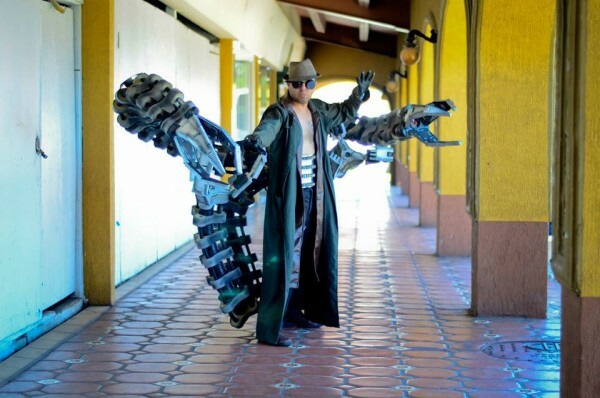 Doc Ock Cosplay « Adafruit Industries – Makers, hackers, artists, designers and engineers! Otto Octavius, a.k.a. Doctor Octopus or Doc Ock is one of Spider-Man’s primary foes. He’s popped up in Marvel comic books for decades and in live-action films as well as cartoons. He’s an inventor and engineer and fabricated mechanical appendages that he can control telepathically. As you can imagine, that presents quite the challenge for cosplayers. 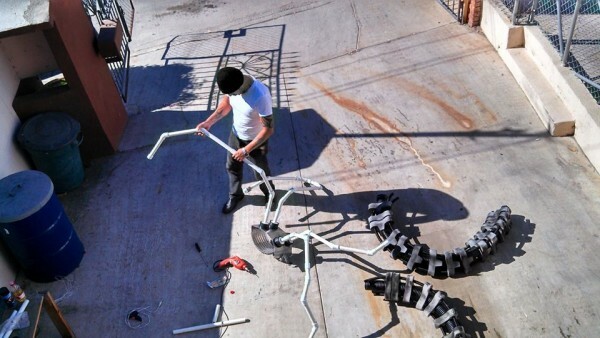 The arms have to be constructed so that they are easily removable, not too heavy, and mobile. You’d ideally want to be able to control their movements so you don’t accidentally take out others in the crowd or in the convention center. 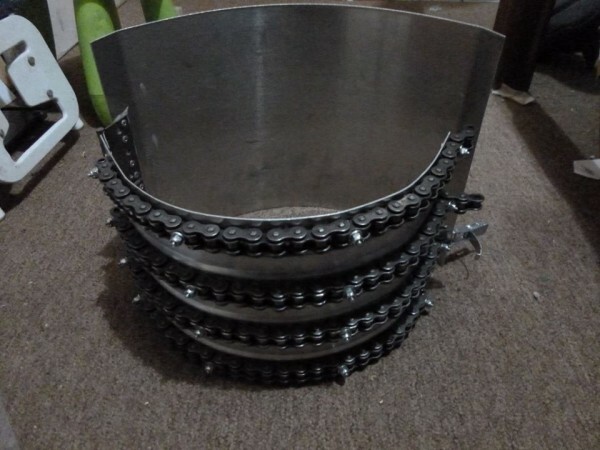 made out of pure aluminum with brackets and motorcycle chains on the front. it is so heavy but totally worth it. 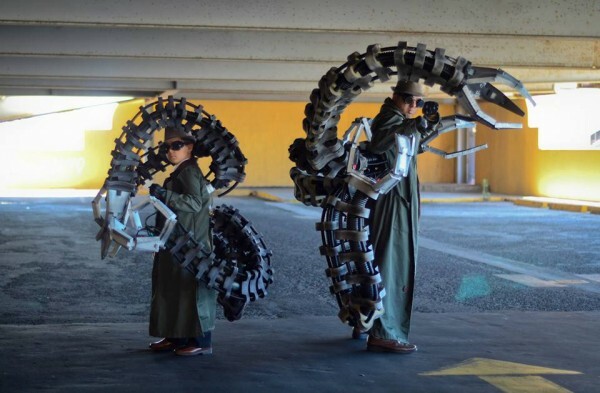 The base of the Doc Ock costume legs is PVC pipes. A black hose was added to the pipes, and the leg components/joints appear to be foam. 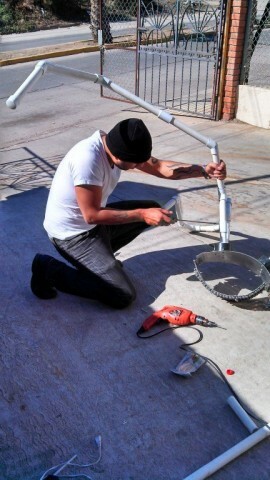 Craft foam or carved styrofoam would work well for the job.